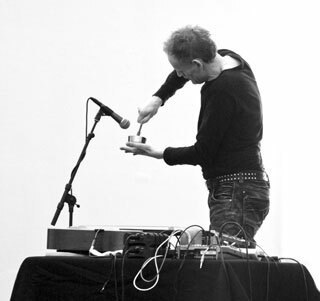 (b.1958) is a sound artist from Norway, working with simple instruments and equipment, sometimes self made, sounds from found objects & fieldrecordings from his local environment. Terje has a background from the punk/rock-scene, but his last years‘ releases shows his passion for experimental music: sound art, minimalism, drones and dark ambient. For the Skisse-tracks he used electromagnetic signals from a wireless router, his soundcard and laptop, recorded by a device kindly buildt and given by Ákos Garai. These signals were processed in miscellaneous software.